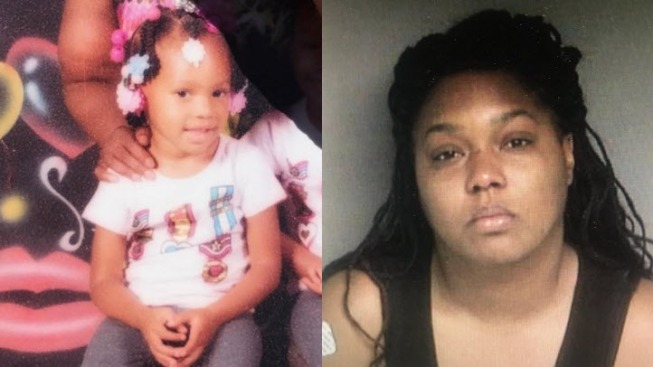 A 5-year-old Berkeley girl and her mother, who police believe took the child a day prior, were found safe in Pittsburg on Saturday. Berkeley police said Mayalyia Booker was last seen with her mother, 34-year-old Laquita Davis, in the 1500 block of Prince Street at 3:14 p.m. Friday. The police department announced Saturday that Pittsburg officers had located the pair and taken Davis into custody around 11:30 a.m. No additional details were immediately available. The Bay Area-wide hunt began Friday when Davis unexpectedly picked up her daughter who was visiting her grandmother at that time. Berkeley police are looking for a 5-year-old girl, who they say was taken Friday by her mother, who has diminished capacity. Jean Elle reports. Mayalyia's father has custody of the child. Davis, who is homeless, does not have any visitation rights, police said. Berkeley police worked with the Alameda County Sheriff's Office, who brought in a K-9 unit to help with the search. The K-9 unit tracked the mother and child to the Ashby BART station in Berkeley. Police believed the pair could be in Oakland. The child's grandmother said Davis had taken away the toddler once before, but brought her back. Officers are unsure when that happened and how long the woman kept her daughter with her.